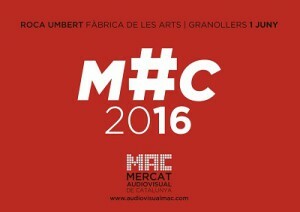 The round table proposed in the context of MAC 2016 (Mercat Audiovisual de Catalunya) of Granollers, in which Rosa Franquet will participate, aims to reflection about the technological and cultural changes, the need to listen to all the voices in the catalan communication landscape and the opportunity to adapt the regulations to the new realities. It will also have the participation of other professionals and communication experts such as Joan Manuel, Roger Loppacher and Jordi del Río. The regulation 22/2005, of December 29 of the audiovisual communication mean a great effort of consensus and a improvement of the legal framework for Audiovisual in Catalonia. However, the technological and cultural changes of recent years, the final explosion of social networks and the interactive access to different media contents from multiple supports and devices, among other circumstances, have far exceeded the regulations of that time. Entrance is free but prior confirmation is needed: pserrano@gencat.cat.